Hot Drinks There are 35 products. 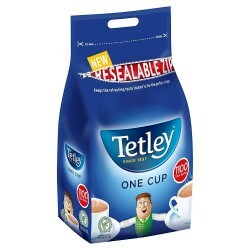 Premium Instant Masala Tea Unsweetened (400g). A big flavourful team swirling with cinnamon, nutmeg, cardamom and a hint of ginger. Available in Sweetened version. Simply scoop the mix into a cup or a mug, add hot water and stir! 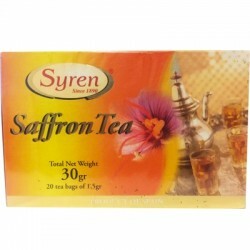 Premium Instant Saffron Tea Sweetened (220g). 10 servings of a strong, creamy pick-me-up, infused with natural saffron. 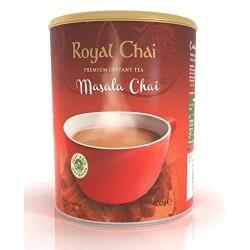 Every Royal Chai Sachet has the perfect combination of Tea, Spices and Milk giving you the perfect chai every time. Available in an Unsweetened version. Just add hot water! Premium Instant Saffron Tea Unsweetened (220g). 10 servings of a strong, creamy pick-me-up, infused with natural saffron. 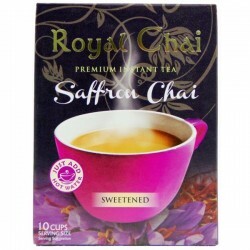 Every Royal Chai Sachet has the perfect combination of Tea, Spices and Milk giving you the perfect chai every time. Available in a Sweetened version. Just add hot water! 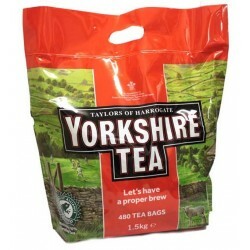 20 tea bags of 1.5g. Syren selected the finest teas from India and blended them with prestigious Syren saffron, to create a delicious, aromatic tea. THIS ITEM IS OUTCODED. BB 06/15. 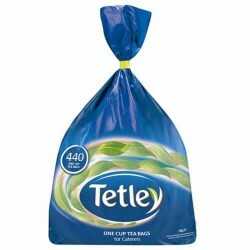 Loose leaf tea is perfect for those truly enjoy the routine of tea. 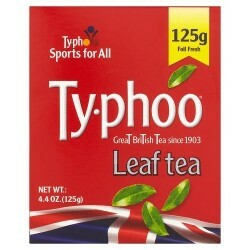 Specially created to give the renowned Typhoo taste with every sip. 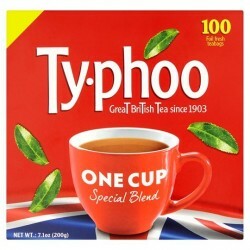 After all, you only get an 'OO' with Typhoo! 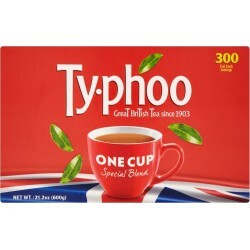 You only get an 'OO' with Typhoo! 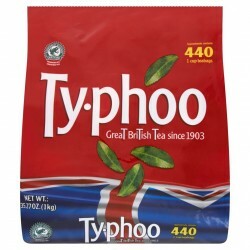 Carefully selected teas to make Typhoo's unique One Cup Special Blend (300 foil fresh teabags).